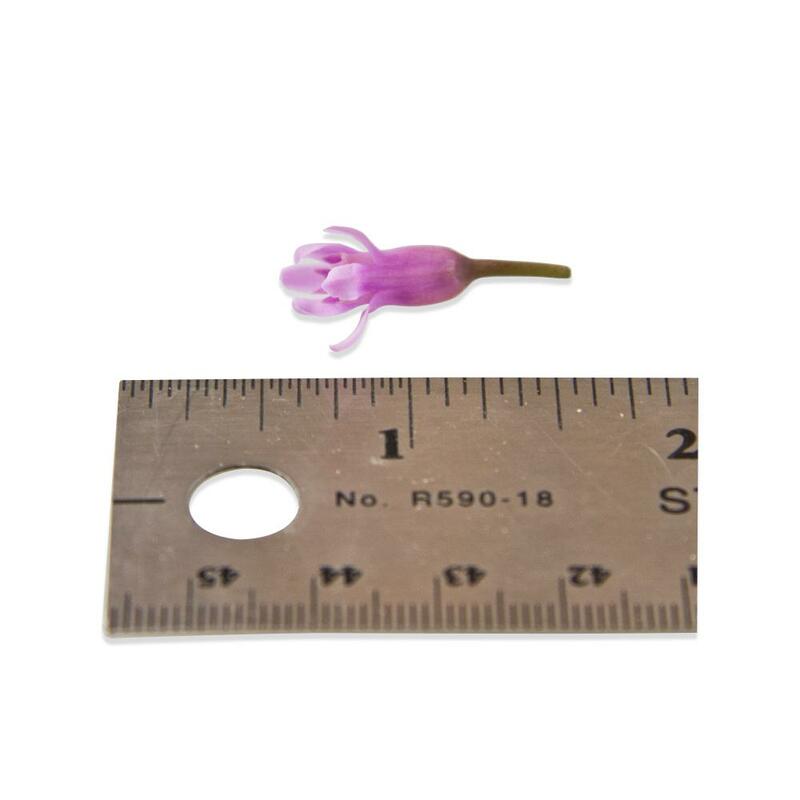 Garlic flowers are tiny, delicate purple blossoms with a pronounced musky garlic flavor. 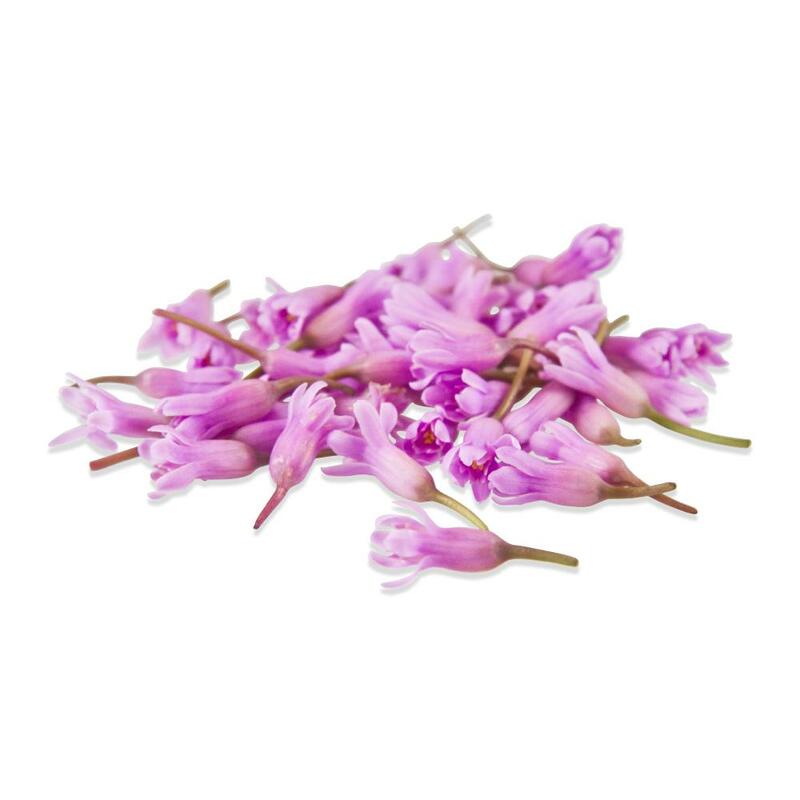 They are a particularly good choice for garnishing savory, garlic-friendly foods. Garlic blossoms are each about ¼”-½” long, with about 1” of stem attached. 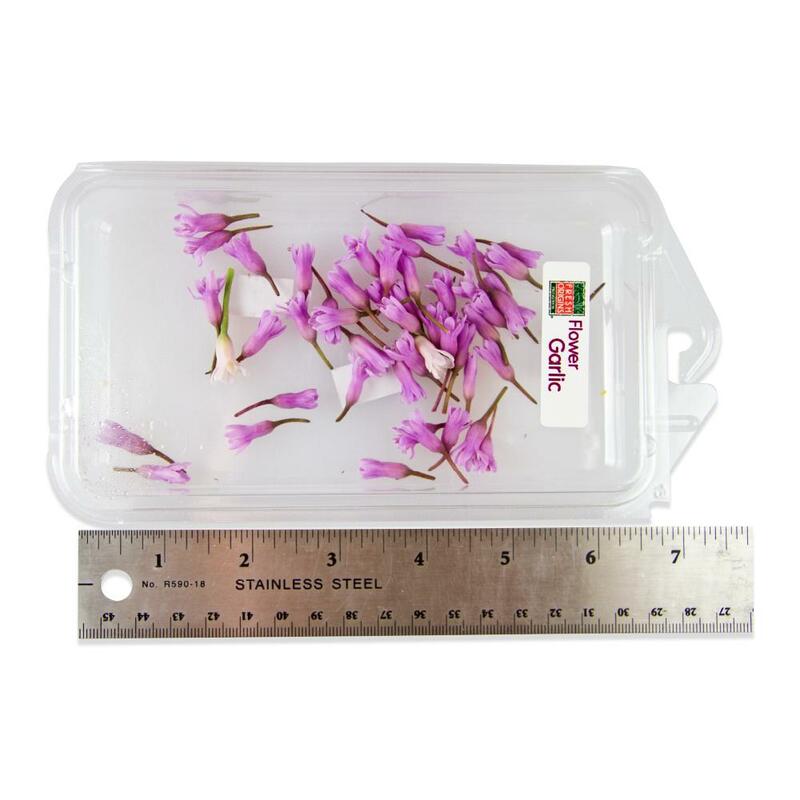 Store garlic flowers in their plastic clamshells until you’re ready to use them. Because of their garlic flavor, garlic flowers are best used as a garnish for savory dishes instead of desserts.